VGC International College is accredited and affiliated with all levels of government and industries. The following recognize VGC for its high industry standards. VGC International College is a designated institution with the Private Training Institutions Branch (PTIB). The PTIB is responsible for ensuring private training institutions meet specific quality standards and requirements.PTIB also provides student protection and oversees the Student Tuition Protection Fund (STPF). The STPF ensures students in approved programs can receive a refund if the institution closes before a student can complete their approved program, or if an institution has misled a student regarding the program in question. 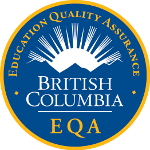 EQA is a quality assurance designation that identifies BC public and private post-secondary institutions that have met or exceeded provincial government recognized quality assurance standards and offer consumer protection. 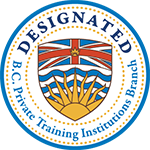 EQA is a voluntary designation available to all BC public and private post-secondary education. Quality English (QE) schools are carefully selected from the best independent English language schools in English speaking countries. They are renowned for their quality and reputation and offer a choice of general and specialized courses in desirable locations around the world. All schools are independently owned and managed. They are not part of a chain and each school has its own unique character. Quality Education (QED) colleges are carefully selected from the best independent colleges offering academic and vocational courses which are taught in English. These colleges are all located in English speaking countries and offer exceptional service, unique character and a choice of courses. They all independent and locally accredited. Languages Canada is Canada’s premier language organization representing both of Canada’s official languages: English and French. Its primary role is to monitor the quality of language schools in Canada for both public and private institutions. The comprehensive quality assurance scheme conducts rigorous examinations of a school’s curriculum, teacher qualifications, student services, student admissions, marketing, promotion, facilities and administration. Schools that have earned the distinction of accreditation have met or surpassed Languages Canada’s considerable standard of excellence. By enrolling in a Languages Canada accredited school such as VGC International College, international students can be assured of the exceptional quality of that school’s program. VGC International College’s Global English courses are recognized by several participating federal German states for Bildungsurlaub, a special form of educational leave in Germany. These recognitions serve as an endorsement for our high quality English language courses and VGC’s English courses meet the requirements of the respective legislative state laws. Bildungsurlaub allows German employees from any sector to take an additional five days of educational leave to use on their professional development. Language courses are a popular option. VGC’s wide range of English courses helps our students reach their desired language goals.